Just like Sony themselves will only benefit from an extra option in the lower midrange. There used to be a few affordable water resistant smartphones around but the niche is now wide open - it's been a while since we last heard of the likes of the Motorola Defy and the Samsung Xcover series. 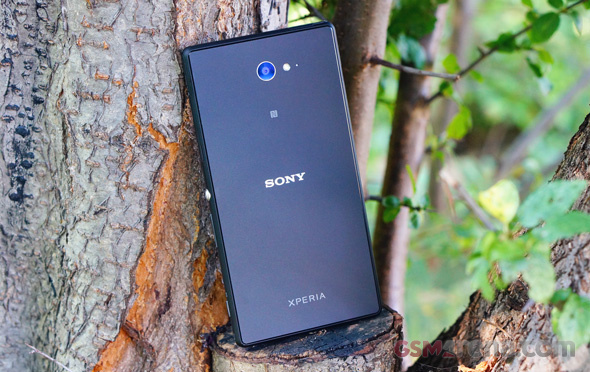 The Sony Xperia M2 Aqua is otherwise nearly identical to the original. Now that the civilian M2 is getting, or about to get, its KitKat upgrade, the main differences boil down to an IPS LCD and the IP certification. The IPS panel has positively affected the viewing angles, while the KitKat optimizations have helped squeeze a couple of hours of battery time. The shortcomings are shared as well however - and we don't just mean the questionable image quality. The screen resolution is a bit too low for the 4.8" diagonal. On the other hand, the device feels big for the screen size - it's heavy and feels thick. Granted, it's a waterproof device - and one that doesn't feel extra rugged at that - but if the water resistance isn't a must-have, there're more compact and comfortably-handling options available. You should consider the sealed microUSB port and 3.5mm jack too - it's only a non-issue if the phone spends more time submerged than it does connected. Sony's Xperia UI offers some proprietary features that you won't find everywhere or at least not executed the same way. 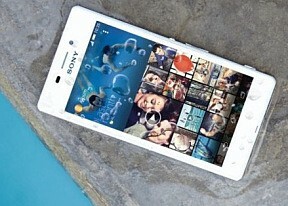 For starters Sony has its own set of multimedia apps like Album, Walkman, Movies, PlayStation Mobile and What's New. The Small Apps are a nice touch and allow you to run apps as an overlay while using the phone. The camera suite is pretty advanced with a set of software lenses and the option to add new ones. 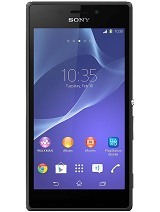 The Sony Xperia M2 Aqua allows you to easily connect and share media with a bunch of Sony devices like TVs, PlayStation, cameras, etc. We like the provided themes and also the power saver software - it's among the most powerful ones and Sony got it right before anybody else. Sony has yet to reveal that all-important piece of the puzzle - the price. With only waterproofing over the original M2 and specs on par with last season's minis, the Xperia M2 Aqua can still be quite competitive - if it's truly affordable. The way we see it, it shouldn't be far off its siblings - but let's not forget it's Sony doing the math. The original Xperia M2 and its dual-SIM version cost €180 and €220 respectively. The latter trades 4G data speeds for an extra SIM, while the Aqua keeps the LTE radio of the original and adds the IP certification. If water-proofing were a must-have, one had to spend big on a flagship. There were exceptions of course - like the Huawei Ascend G350 and lesser-known brands. But they were just that - exceptions. In fact, the more than year-old Ascend G350 has the same IP68 rating as the Xperia M2 Aqua. The question is though whether a phone of otherwise modest specs needs all that water proofing after all. Or is Motorola's approach the smarter thing to do? The Moto G's internals have water-repellent coating, which does a reasonably good job without official IP certification. And we're not just name-dropping here - the Moto G's LTE-enabled version is one of our protagonist's biggest rivals. The LTE-ready version with a microSD slot costs €190 at the moment - a 720p screen makes this great value for money but the flipside is no FullHD videos. While not officially certified, the Moto G 4G has a reasonable level of water protection thanks to a water-repellent treatment of its internals. Out of the last season's minis, the LTE-capable KitKat-running LG G2 mini is a pretty close match, powered by the same Snapdragon 400 chipset and rocking a 4.7" qHD screen. It fits a bigger battery in a clearly more compact body. A nice package for the price of around €200 - nothing special in terms of processing power but good design and better camera. 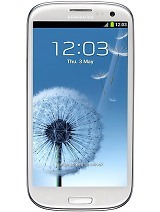 The Samsung Galaxy S3 Neo is probably an even more limited edition than the Aqua but it's worth a mention here for its 4.8" 720p Super AMOLED display for the price of €208. The downside is it doesn't have LTE and won't be as widely available as the M2 Aqua. There's no water resistance whatsoever either. Now, that's it. If water resistance is a must and the price is right, a phone like the Sony Xperia M2 Aqua makes enough sense. That's one too many if's perhaps. The fact is you don't appear to have too many alternatives outside present and former flagships - and some cheap offers by lesser-known brands. An HD screen, more processing power and better imaging would probably make a bigger difference to some. But the Xperia M2 Aqua is for those who don't want to worry about the difference between a phone in their pocket and a phone at the bottom of the pool.